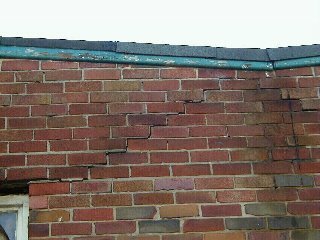 Clarke & Associates have developed a reputation within the local and regional areas resulting in multiple referrals, providing specialist civil and structural engineering services for subsidence, extensions, wall cracks, etc. 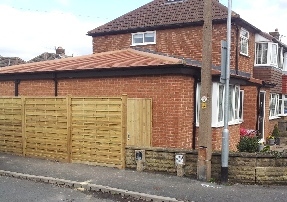 If you are planning on removing a load bearing wall or building an extension, you will legally require calculations which will be submitted to building control. The reason we do this, is we have seen far too many instances where a beam has been designed and installed only for the cracks to appear afterwards in the walls, and/or the ground starts to sink - if we were to endorse the beam calc, the resulting cracks would not give us much of a reputation, nor any referrals. (This inevitably takes more man hours to complete, but should provide a little extra peace of mind). If you do have any cracks (or sinking feelings! ), we also offer a Structural Inspection by one of our Chartered Engineers, who can undertake a visual inspection. Using extensive knowledge and previous experience of similar occurences, they will usually either recommend remedial actions or if the cause is not clear, recommend further investigation by physical means such as wall exposure, a trial pit, drain cameras, etc. (which will require the employ of sub-contractors). Note anything more than minor or common remedies such as underpinning will require an engineers site specific detail drawing which we can also provide, to which a tradesman can work from.